Air conditioning! – Mark Loves History! Today in History, November 4: 1939 – The first car with built in air conditioning is introduced at the 40th annual Automobile Show. 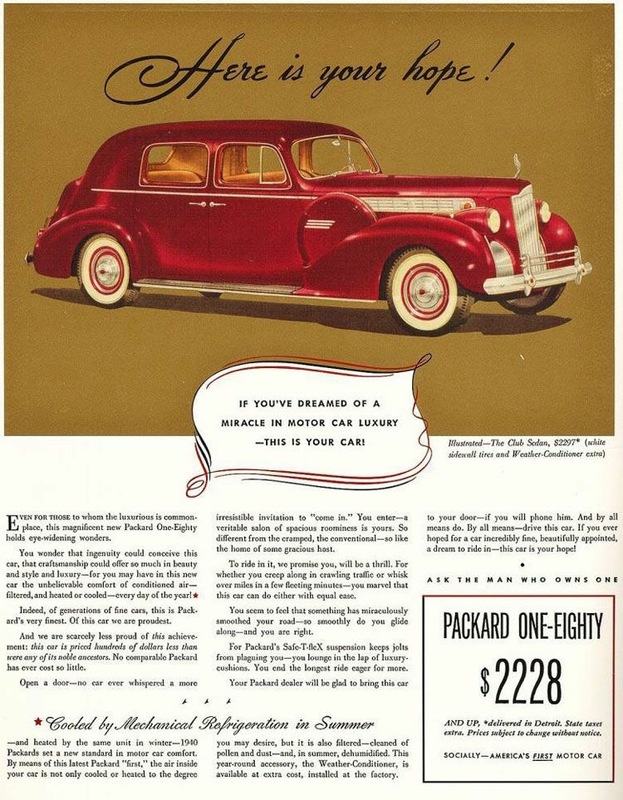 While some after market companies had offered A/C for limousines earlier in the thirties, Packard was the first to offer the option of a “Weather Conditioner” to the average motorist. The unit took up nearly half of the car’s trunk space.